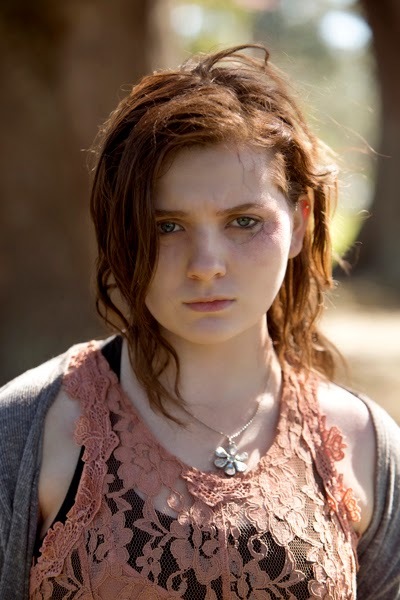 Academy Award nominee Abigail Breslin stars on a titular role alongside legendary action film icon Arnold Schwarzenegger in the zombie-filled and apocalyptic film “Maggie” where she plays a young woman infected with a zombie virus and whose father’s love proves stronger than the horror of the virus that invaded her being. One of this year’s most anticipated movie that spells huge commercial excitement, “Maggie” is directed by Henry Hobson, one of the world’s go-to directors for innovative title, end and credit sequences for his film works in “Snow White & The Huntsman,” “Robin Hood,” “Sherlock Holmes,” “The Help,” “Rango” and “Tree of Life,” video games “The Last of Us” and “Killzone” as well as AMC’s acclaimed top-rated zombie series, “The Walking Dead.” Adding further talents, Hobson has also (creative) directed the screen and stage looks for the Academy Awards for the past 6 years. The movie is a heartbreaking take on the zombie genre that twists expectations and puts a human face on an inexplicable horror. By the time a necrotic viral pandemic spread cross-country to small town America and infected the film’s titular character, 16-year-old Maggie (Breslin), authorities had established a protocol for patients infected with the deadly virus: they are removed from society and taken to special isolation wards to complete the agonizing and dangerous transformation into one of the walking dead. The authorities do not speak about what happens after that. 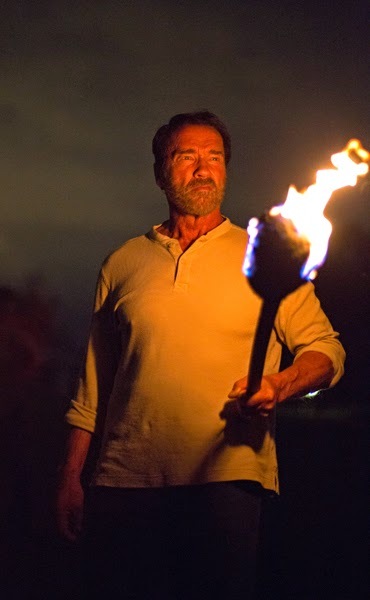 Wade Vogel (Schwarzenegger) is not ready to give up his daughter. 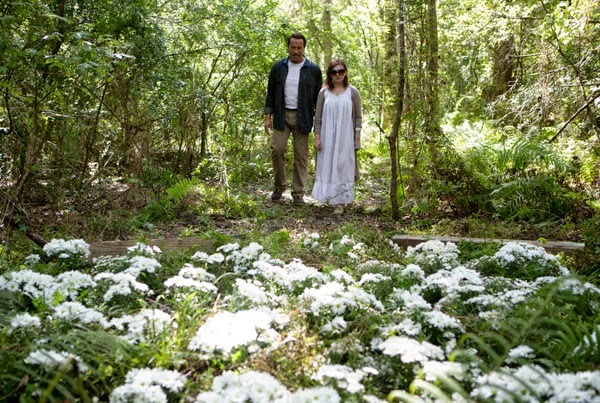 After weeks of searching for Maggie when she runs away following her diagnosis, Wade brings his daughter back to her home and family – stepmother, Caroline (Joely Richardson), and her two children. Having lost Maggie’s mother years earlier, Wade is determined to hold on to his precious daughter as long as he can, refusing to surrender her to the local police who show up with orders to take her. 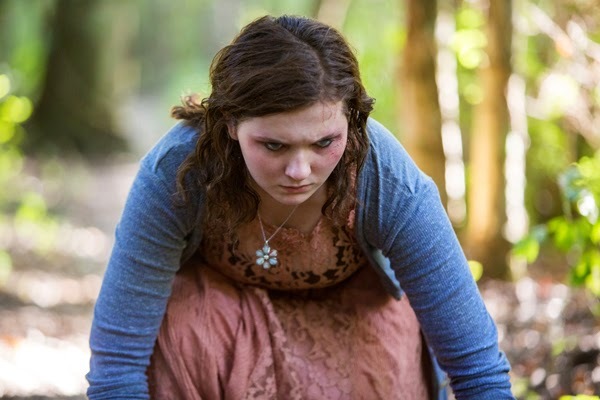 As the disease progresses, Caroline decides to take their two younger children and move out, leaving Wade alone with Maggie to watch helplessly as she suffers. In a departure for the zombie genre, the true horror and suspense in “Maggie” lays not so much in the blood, brains and gore of the walking dead, but rather in the dark reality of caring for a child or loved one whose terminal illness or behavior make them a danger to themselves and their family – and eventually confronting the even darker choices that behavior presents to anguished, loving parents. “Maggie” walks in cinemas nationwide this May 13 from Pioneer Films.